Coach Moreno has been in the Army Reserves for 10 years. He is currently serving his third deployment and second to Afghanistan. He will be gone for the entire season and will return next Fall. 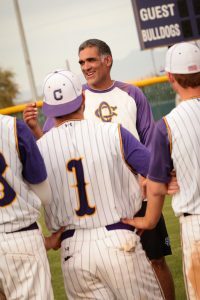 This is Coach Moreno’s fourth year at the helm of the QC baseball program. He was also deployed his first year of taking over the program. Moreno graduated from Mesa High School and then continued his baseball career at Arizona State before being drafted into the minor league organization with the Cubs. 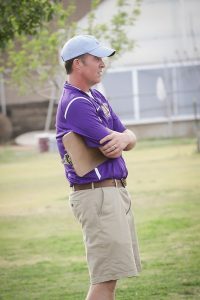 He’s since coached at ASU, Central AZ CC, South Mountain CC and the University of New Orleans. Moreno has a record of 46-14 in his last two years at QC. 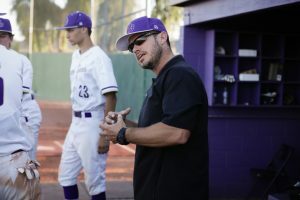 In his first season back, he led the Bulldogs to the 5A San Tan Region Championship and was named the San Tan Region Coach of the Year. 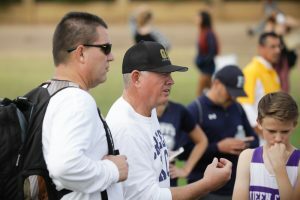 He was also named The Arizona Republic Coach of the Year in 2017. Last year, the team made it to the state quarterfinals and finished with a record of 21-9. Drew Ramirez has been good friends with Moreno since they coached at Central Arizona College together under Clint Myers. Ramirez also coached the team in 2016 while Moreno was deployed. Girls Beach Volleyball Head Coach- Daniel Arrington Jr.
She’s led the Bulldogs to the state semifinals, which is the furthest the team has made it, since winning a state championship in 1990. 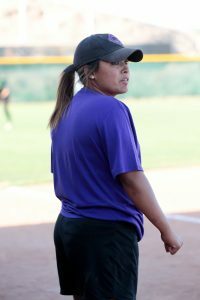 She was also named the 5A San Tan Region Coach of the Year during the 2016 season. This is Coach Norwick’s first year coaching the boys tennis team at QCHS. He has played tennis since the age of 13 and participated in both National Junior events and ATP events in his career, while also earning an ITF world ranking. He has 35+ years of coaching as a High Performance National coach and has coached more than 60 players into D-I scholarships. He’s also coached and continues to coach ATP and WTA players. He owned a 12 court facility for 20 years and is a TD for three National Level events and six Sectional events. He also the current business adviser for Solinco Sports. Coach Harmon’s tennis background consists of playing and instructing players of all ages. He played tennis at Westminster College for four years and enjoyed playing singles and doubles on two conference championship teams. He truly loves the competitive nature and aspects of team tennis. After college, he moved to Arizona and worked as a tennis professional for three years. During that time, he ran group clinics and gave private lessons to kids and adults. This is Coach Harmon’s third year at Queen Creek High School. Coach Turner Beall started playing volleyball in his early teens. 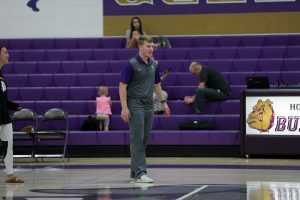 He made and started on his Varsity volleyball team all four years as libero and was honored as first-team All-Conference in the Easy Sky Region and second-team All-Defense in the state at Higley High School. 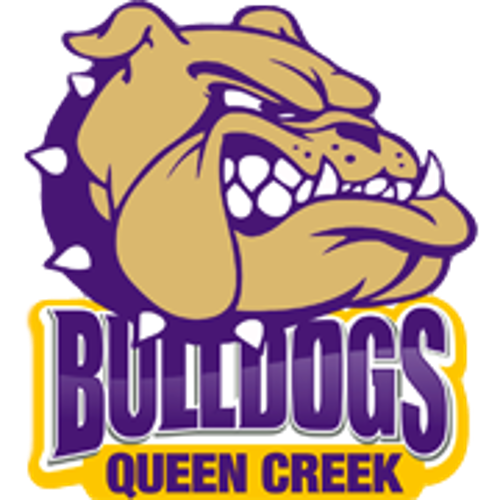 He has been coaching for seven years and this is his second year as head coach of the boys program at Queen Creek. He has experience coaching club and all three high school levels, and also coaches our girls freshman volleyball team. He has a lot of passion for the sport and loves the challenge of helping his athletes grow as a player and become successful in life.